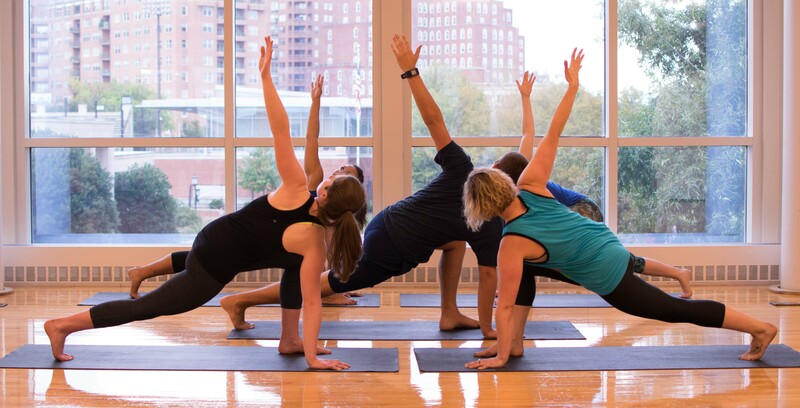 The O’Connor Recreation Center has a variety of fitness opportunities to strengthen your body, mind, and spirit during your Hopkins experience. Our fitness room features a variety of cardiovascular equipment along with a complete circuit of strength training equipment. Free weights, plate-loaded, and selectorized equipment can be found in the weight room. Our Jungle Gym provides multiple training opportunities. Individuals and groups can utilize the peg board, the rebounder, pull-up bars, monkey bars, adjustable step, and gymnast rings for a functional training circuit. Group training on the Jungle Gym is also available with a personal trainer. If you are looking for additional direction, attention, or motivation to keep you on target with your fitness and wellness goals, working with a personal training may be the best option for you. F45 is a functional 45-minute circuit-based workout in a high tech, high energy, team environment. Every day is a new workout. Cardio is the focus on Mondays, Wednesdays & Fridays. Strength is the focus on Tuesdays & Thursdays. Fuse the two on Saturdays for the 60-minute Hollywood workout. Johns Hopkins is the first university on the east coast to have F45 on campus! Group fitness offer a fun and social opportunity for fitness is offered through our various group fitness classes. If you get bored on machines, like someone else to structure your workout, or don’t enjoy exercising alone, give group fitness classes a try! We offer a little bit of everything—from yoga to dance to high intensity—and our class schedule changes every semester. Learn more about group fitness.